A style of relaxed sophistication resonates throughout this fully renovated home, boasting the charm of yesteryear, while offering today's modern amenities. Gracious rooms sizes and formal areas are wonderful for entertaining family and friends. The heart of the home is sure to be the family room, with ample natural light, a prominent fireplace and 10-foot coffered ceiling. Conveniently located with a butler's pantry and breakfast room, the kitchen has been thoughtfully updated with stainless appliances, granite countertops and custom cabinetry. A grand foyer flows effortlessly into the dining and living rooms, with a stately staircase leading to the upper level sitting area. On the second floor, you'll be pleased to find spacious bedrooms each with their own walk-in closet. While the master bedroom provides every amenity one would expect, including a bedside fireplace surrounded by built-in shelving, flexible space on first floor could easily be transformed into the master suite you’ve always dreamed of having. The opportunity for expansion also presents itself on the lower level with more than 750 square feet available to be finished. 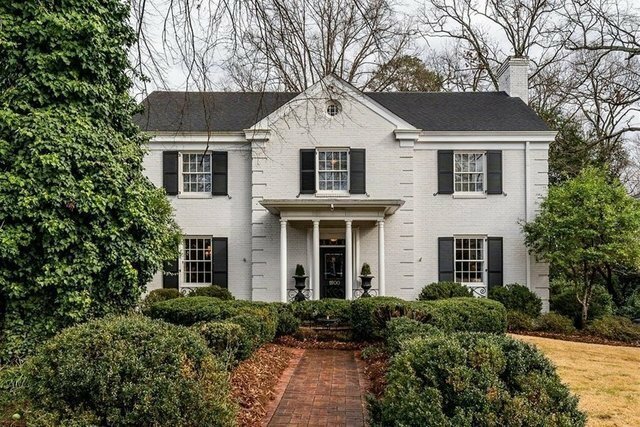 Offering the ultimate Raleigh address, this classic beauty is perfectly situated in the heart of Hayes Barton, a charming neighborhood renowned for its tree-lined streets, rich history and coveted location. The circular, gated drive provides convenience and privacy, leading to a deep and beautifully landscaped back yard.